This is how we challenge the caliphate and its preachers! But, see what we brought to you? 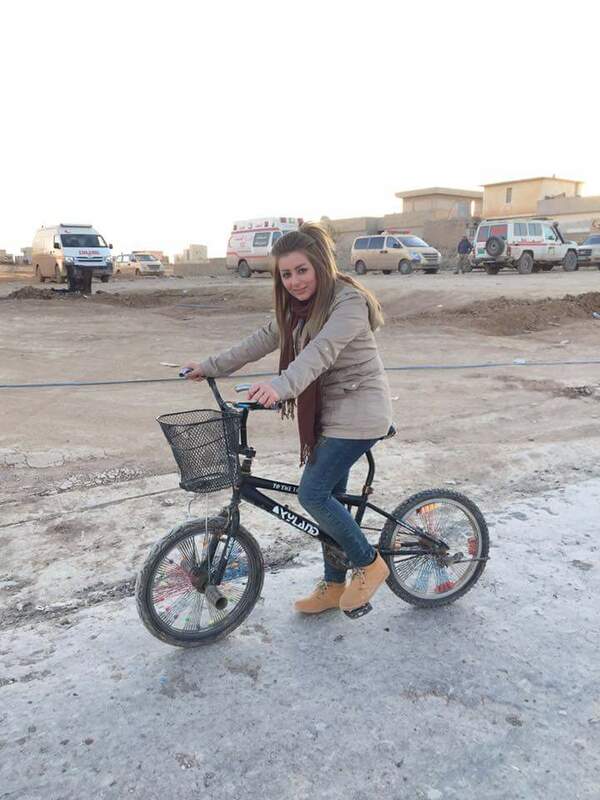 I challenged ISIL once by listening to violinist Itzhak Perlman at the heart of Mosul, and that was a great hit to them, but now, another challenge of a different kind … A friend of mine, went to Mosul today and rude a bicycle challenging the caliph, the caliphate and the Islamic State. While we here don’t have any idea of that it could ever be an issue for a woman to wear Jeans and ride a bike, such a story becomes very powerful because it creates a thought within us on how different life could be if such easy simple everyday things you do are becoming a task for a hero. So it becomes understandable that simply doing it is the first win in the battle.